Prepaid Debit Cards can be quite beneficial for those who do not have the option of a low-cost checking account. They are liked by many who aren’t akin to the various types of bank fees like service charges and overdraft fees. Prepaid Debit Cards are also popular with people who do not want to use their credit cards or bank account for online shopping. They offer a novel way for parents who wish to keep a tab on the spending-habits of their children. Above all, they are quite beneficial for people who don’t use banks or credit unions for financial transactions. 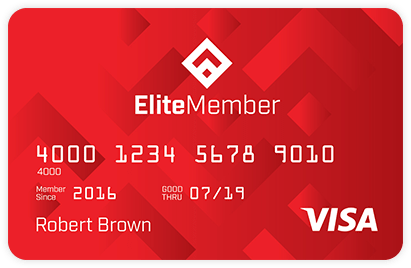 While there could be several options to choose from, Elite Member Card has several benefits that can serve you well in the long run. The major deterrent for most who want to opt for Pre-paid Debit Cards is the huge fees. Elite Member Card addresses the problem is the simplest way. Furthermore, our customer can use Free Direct Deposit and get their monthly fee waived! So what are you waiting for? It's time to bank better with the best reloadable prepaid Visa card. Apply today to enjoy the windfall of benefits! © Copyrights . All rights reserved.